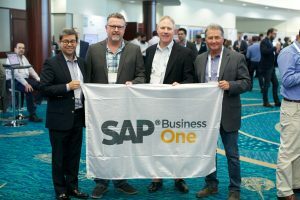 WiSys, LLC, a provider of flexible and scalable WMS for SAP Business One, is pleased to announce its sponsorship of the SAP SMB Innovation Summit. The event takes place in Orlando, FL from April 18-20. WiSys looks forward to showcasing WMS tools that help SMB companies grow and succeed using SAP Business One. SMB Innovation Summit attendees can find WiSys at booth #64 and in the demo theater on April 18 between 5:30pm and 6:30pm. This live demonstration will show how to exceed customer expectations with a flexible WMS. Live demonstrations will also be provided at the WiSys booth.